A slice of toast not enough in a morning? 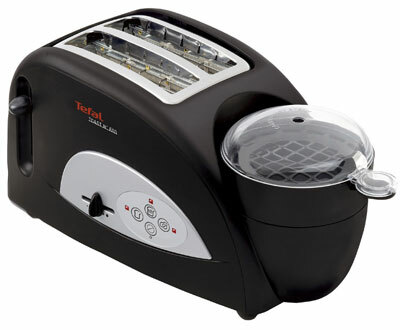 You could opt for something bigger with the Tefal Toast 'n' Egg. Yes, not just a toaster, this one also has a poachng tray for 'muffin-sized cooked eggs' and a warming tray for heating cooked meats. Which means a hot breakfast is possible without much effort...or much washing up. Available now from John Lewis, you can pick one up for £39.95.